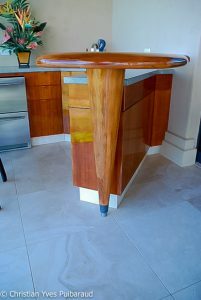 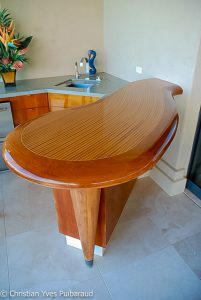 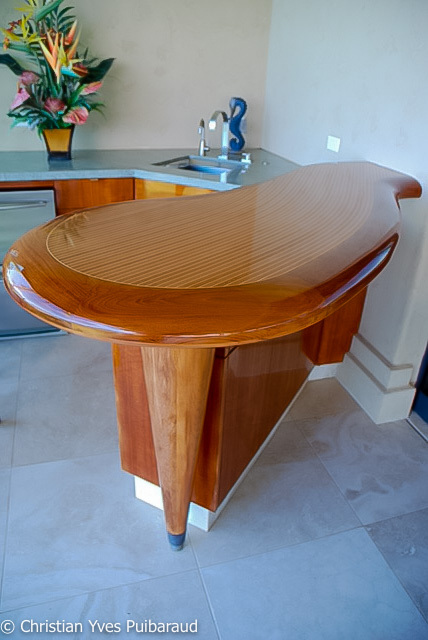 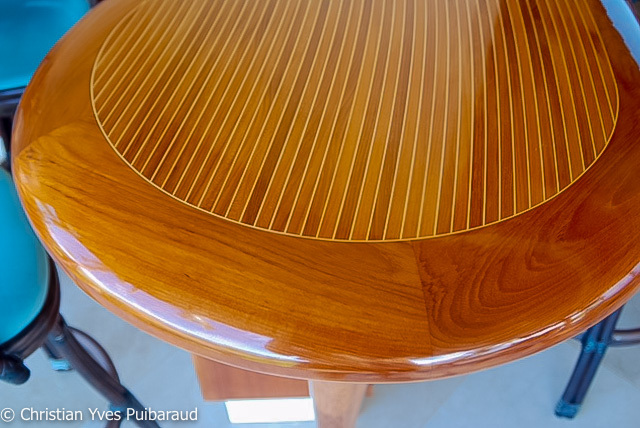 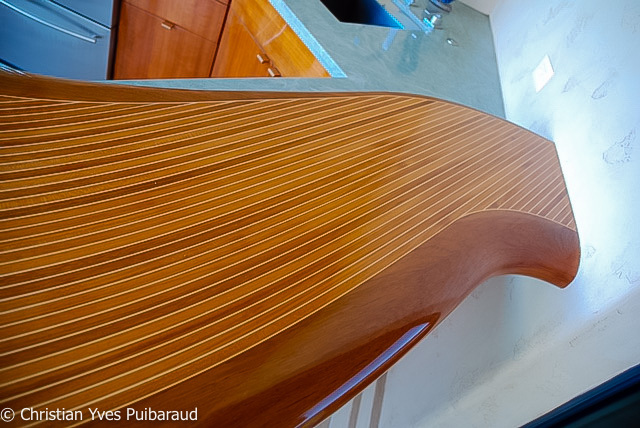 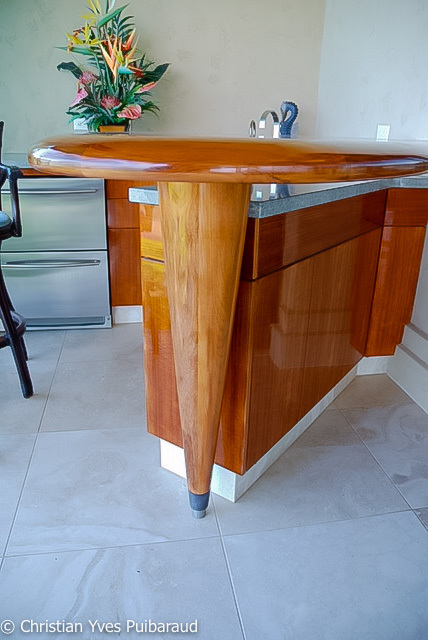 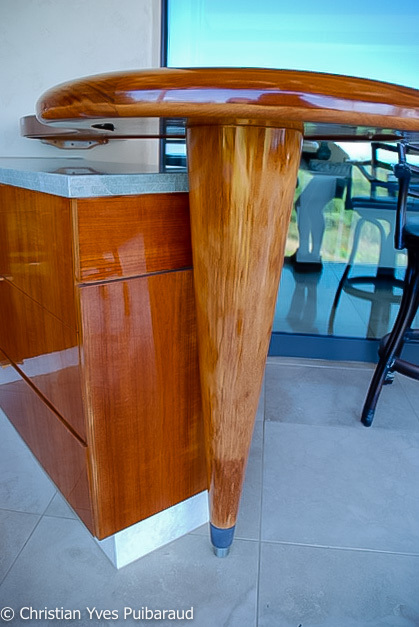 Teak bar with Hollywood pinstripes. Thick solid edging hand shaped. 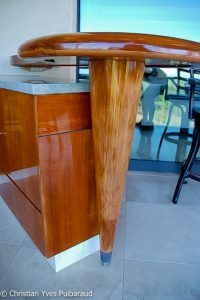 Cone leg is made with solid Teak coopered pieces and turned on lathe. 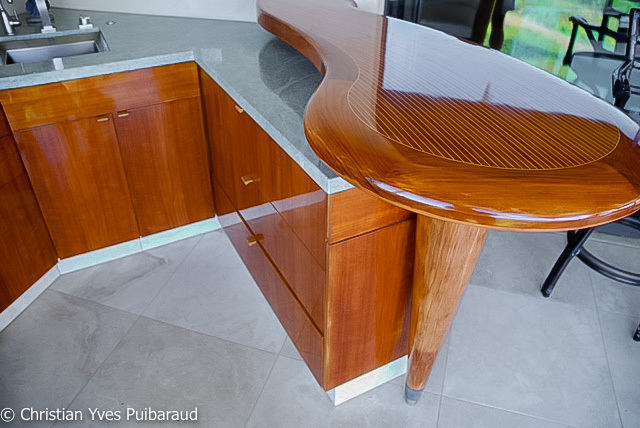 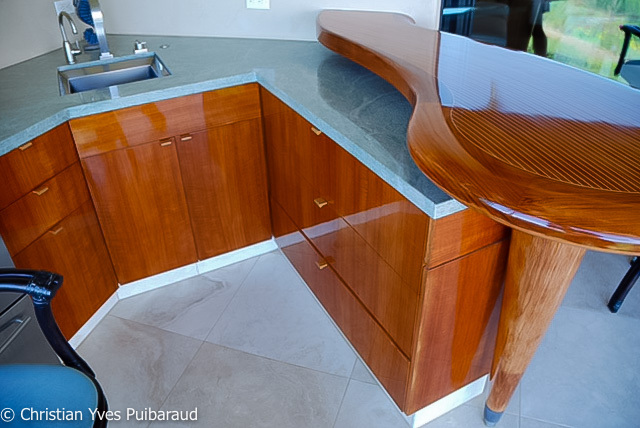 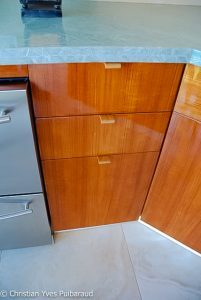 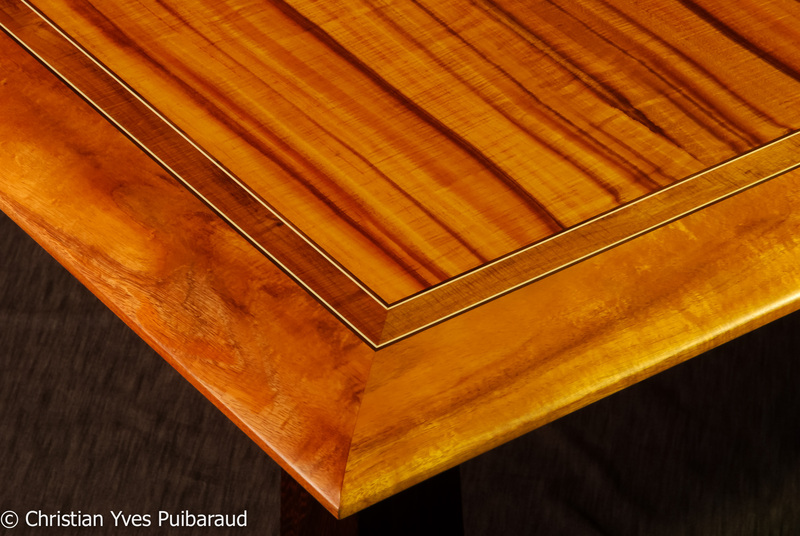 Cabinets are hand veneered Teak veneer. 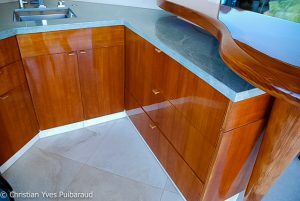 Finish is high gloss automotive finish.